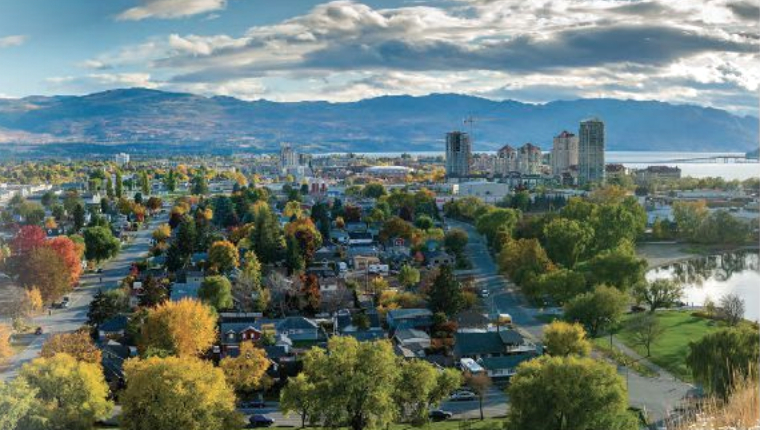 Kelowna is doing well when it comes to its economy, but it has plenty of work to do on the social side of life. Those were the findings of the city’s first economic scorecard, which was compiled and produced by officials from Kelowna Chamber of Commerce, City of Kelowna, Okanagan School of Business and UBCO’s Faculty of Management. The study compared Kelowna to 16 cities across the world, and it ended up finishing 10th overall once all the data was collected. Kelowna finished sixth among the 12 economic indicators but was 14th in the dozen social categories. The chamber plans to conduct another scorecard evaluation in three years to see how the city compares then to what it is now. “We believe that over time it makes a whole lot of sense to go back to see in 2022 that we’ve actually taken this, absorbed it and made strategic adjustments that will help us create a more prosperous future for all the residents in the city and move up the ladder, so to speak,” Rogers said. The other 16 cities were similar to Kelowna in that they have approximately the same population, they have an airport that is key to the community’s development, they are a tourist destination, and they are on or near a body of water. Boulder, Colo., finished first on the scorecard, followed by Ann Arbor, Mich., and then Victoria. 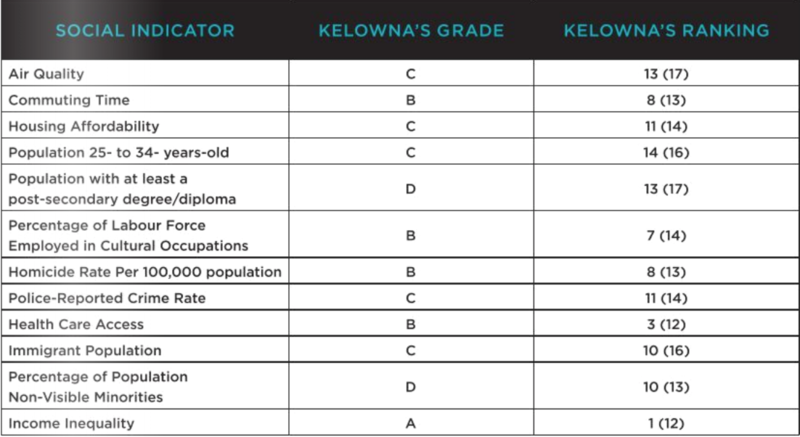 The areas in which Kelowna received D grades were GDP per capita, non-visible minorities, disposable income per capita, population with at least a post-secondary degree or diploma and high-tech employment share. 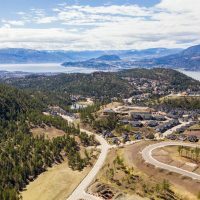 The high-tech grade comes as a surprise given Accelerate Okanagan boasted last fall about its $1.67 billion impact on the local economy and 12,000 jobs in the areas. “The definition of technology is fairly broad, so it would not necessarily be captured in that,” Kelowna’s director of business and entrepreneurial development Robert Fine said. “The other part is that as we look at some of the other cities, they’ve had lengthy initiatives focused on technology and the technology sector, so you’d expect them to do better. 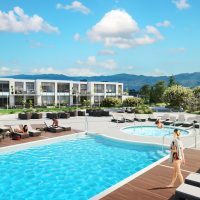 The other areas in which Kelowna lagged behind the rest were police-reported crime rates, population between ages 25 and 34, immigrant population, retail sales per capita, hotel occupancy and air quality.